Home Life Hacks This Easy Trick With Car Keys Deters Predators And Intruders! It’s something we all fear, isn’t it? The home invasion. Being burgled. We’ve all seen films like Panic Room, The Purge and Funny Games – having a scumbag criminal (or gang) enter your house in the dead of night to ransack your property – or worse – doesn’t bear thinking about. So it’s good to plan against it, isn’t it? Right. But how…? Well, we’ve got a great idea for you right here! 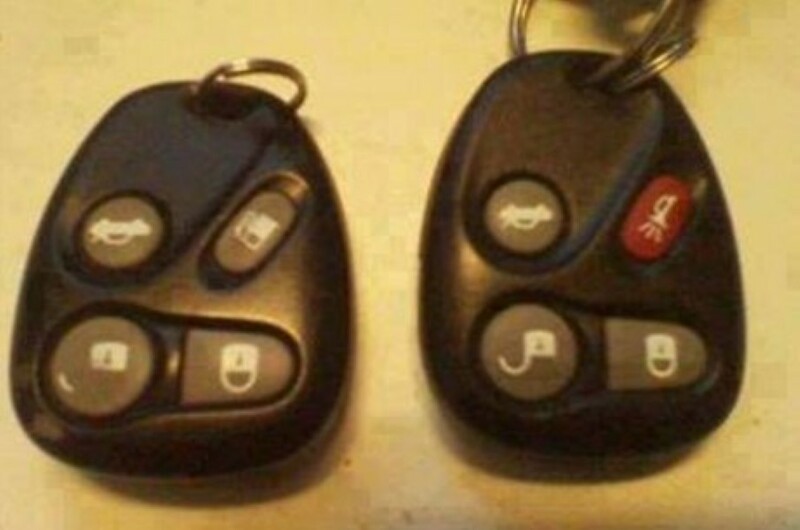 The answer lies in your car keys. “But it’s my house they’re getting into, not my car!” We hear you shout. Well, true. But your car can help. 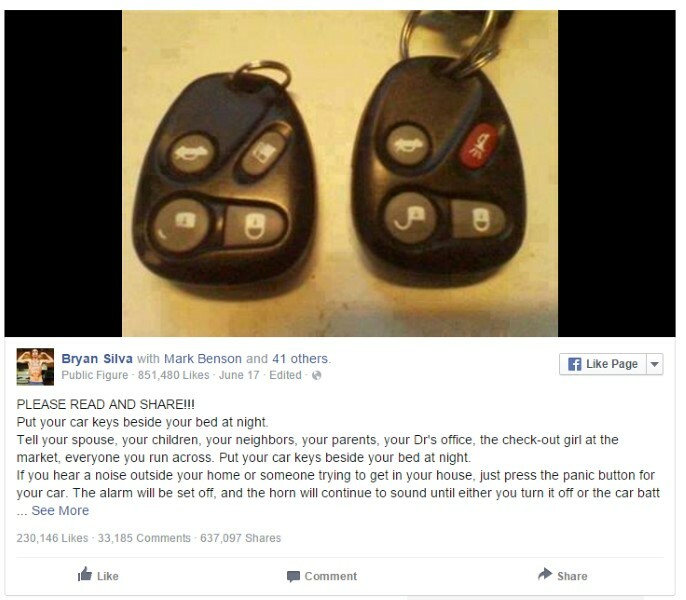 A recent Facebook post by a guy called Bryan Silva explained how your car keys can really help put off an intruder or predator. If you hear something suspicious and think a burglar might be entering your property, don’t reach for your gun and risk a court case. Just yet, anyway. Reach for your car keys and hit the red ‘horn’ or – in this case – ‘panic’ button. It’ll blare out the alarm and put the intruder off. After all, how many criminals are going to carry on with the robbery with that noise and attention…?